Kintore Midmill Primary School is a village school situated twelve miles north-west of Aberdeen. The school provides primary and nursery education for the local area and holds a strong sense of community and village atmosphere. 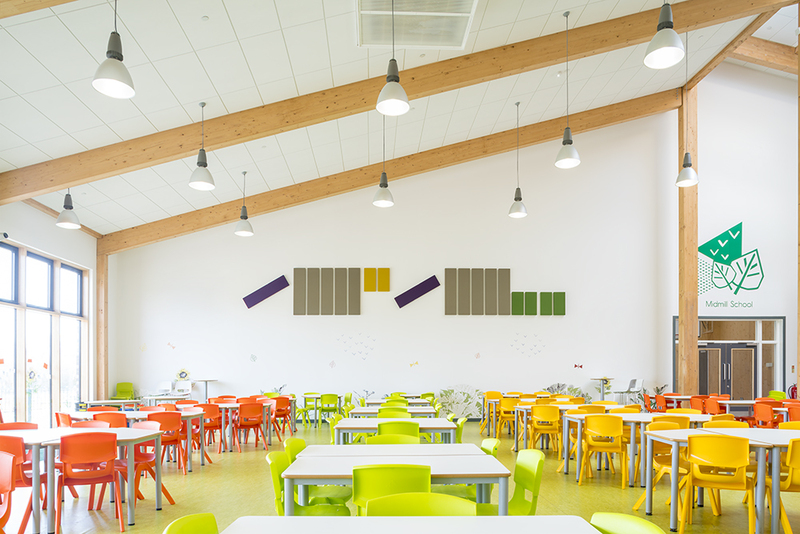 We worked closely with the existing design team, community stakeholders, pupils and staff to generate ideas and implement high quality designs, which enhanced the new building. 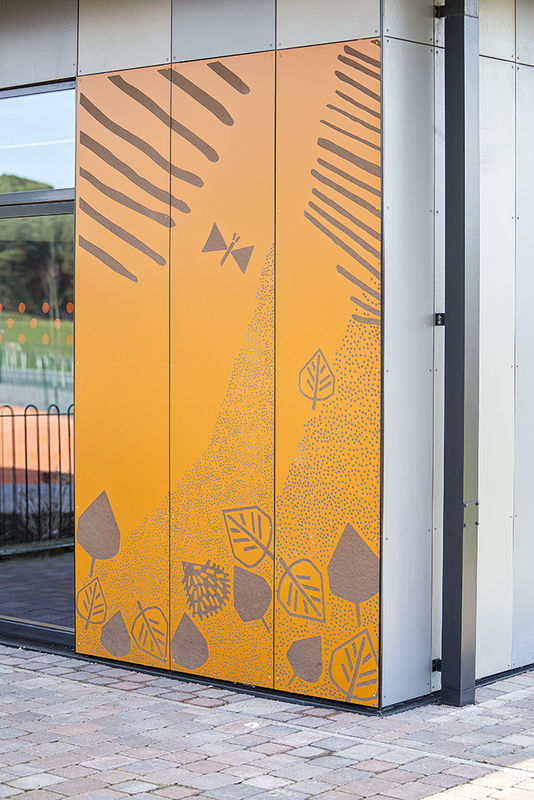 The artwork is rooted in its environment, drawing inspiration from the historical and natural aspects that surround the new school site such as the rich history associated with the archaeological sites at Tuach Hill and Midmill Longcairn. 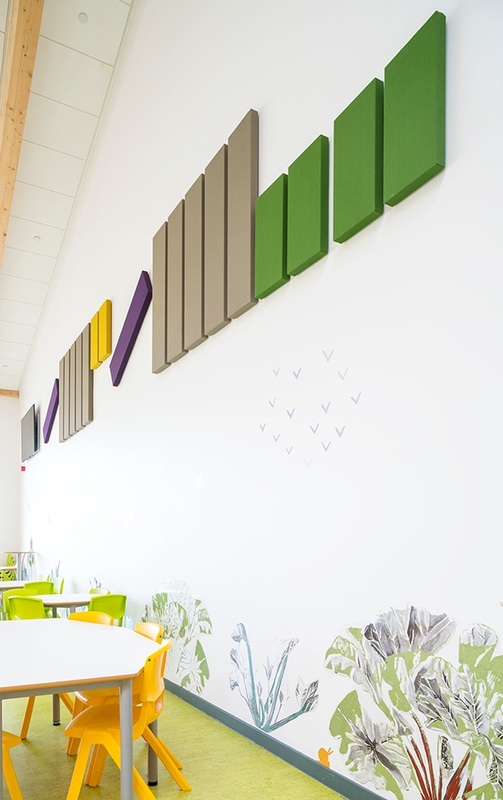 Integrated art schemes throughout the school include wallcoverings, glass vinyls, acoustic panels and external cladding. The design narrative was created in collaboration with the teaching staff and the pupils to identify cultural themes and educational approaches. The artworks are integrated into the fabric of the building providing a playful twist to the modern architecture. 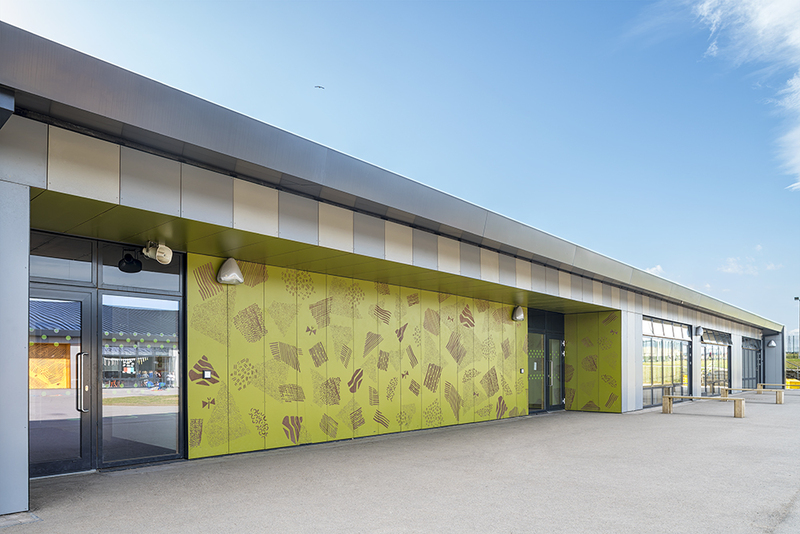 The patterned facades were designed with the children’s ages in mind by adjusting the imagery and height-level of the patterns accordingly. With Aberdeenshire’s approach to language learning (where every child learns two languages at school) in mind, we looked into the development of the Pictish Script. In Kintore’s history, Pictish was the language spoken by the Picts from the late iron age to the early middle ages. We worked in collaboration with a specialist in Pictish culture, Katherine Forsyth, from the University of Glasgow to celebrate this forgotten language in a modern approach. A family of graphics and patterns was created for the school to create a fun way to learn about the history of the area by employing an almost secret code for the children to engage with.